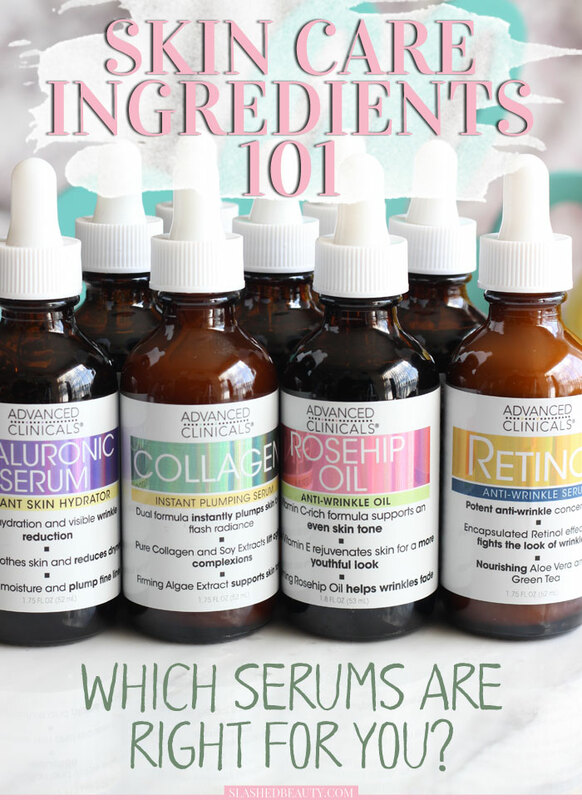 Skin Care Ingredients 101: What Serums are Right for You? I’ll be the first to admit: skin care can be confusing. I still learn something new every week about my skin and best practices to keep it healthy. 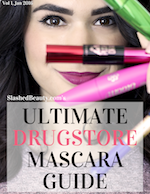 The information available is endless and there are constantly beauty breakthroughs to keep up with. A good place to start in the effort of getting skin care savvy is becoming familiar with common ingredients found in products. Once you get to know and recognize these ingredients, you’ll start to be more confident about picking out products for your skin care routine. Watch the video above if you’d rather listen to the info! Tea Tree Oil is perfect for blemishes, redness and bumps. It calms irritations while also rehydrating it unlike other acne medications that can make your skin more irritated. It has antibacterial and anti-fungal properties that can help heal and prevent future acne breakouts. Since it helps with inflammation, it can make stubborn swelling from acne go down, and can also help treat eczema and psoriasis. After your skin problems are cleared, it also works to lighten any scars and discoloration left behind. 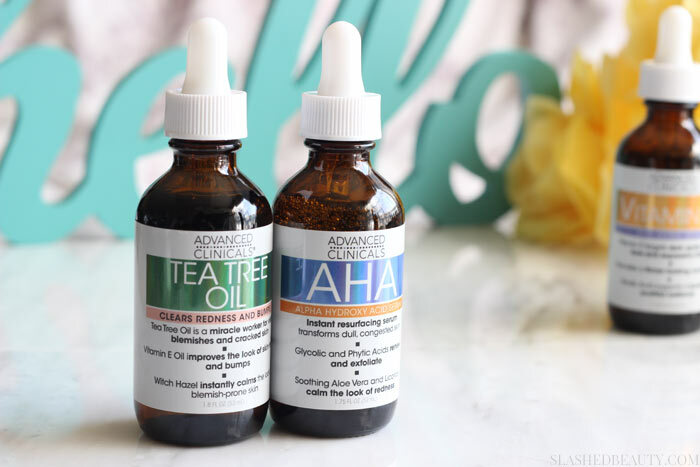 Choose the Advanced Clinicals Tea Tree Oil Serum. Alpha Hydroxy Acid (AHA) is a natural acid from fruit that acts as a chemical exfoliant. It removes dead skin cells from the surface of the skin while thickening the deep layers of skin for firmness. AHA speeds up skin turnover, which helps other skin treatments work faster. Skin turnover usually takes 21-30 days, but the exfoliation from AHA will show the effects of other products sooner as well as help lift acne scars and clear acne faster. AHA also helps balance out moisture for combo skin. Use it at night, as this ingredient can make your skin sensitive to the sun, and always wear sunscreen during the day. Choose the Advanced Clinicals Alpha Hydroxy Acid Serum. Argan Oil is packed with skin-loving antioxidants. It adds a glow and lots of moisture, as it’s enriched with Vitamin E. It also helps ease inflammation and improves elasticity of the skin and cell production making it double-duty for both hydration and anti-aging. And of course, it’s great for your hair as well! 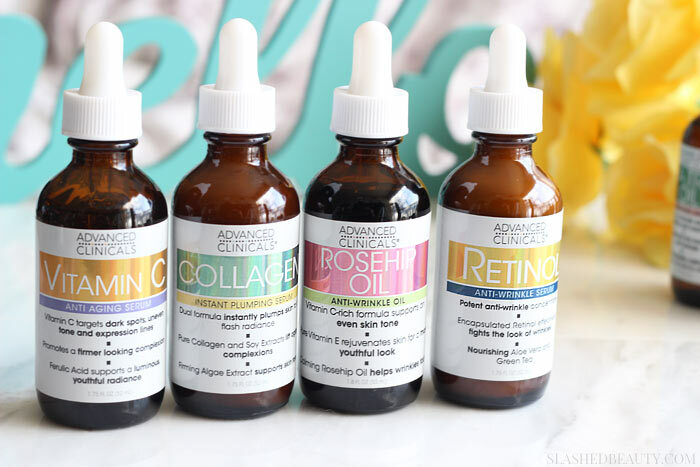 Choose the Advanced Clinicals Argan Oil Serum. Coconut Oil can solve all your problems (almost). It provides intense moisture and restores suppleness to the skin. The vitamins and acids found in coconut oil have healing properties to help scars such as from acne, as well. Once again, you can also use it on your hair to treat the ends. Choose the Advanced Clinicals Coconut Visible Repair Serum. Hyaluronic Acid is found naturally in the skin and works like a sponge to hold in moisture to help you fight dehydration. It also helps keep your skin plump and helps it retain collagen to boost skin flexibility. Because it’s helping store moisture, other skin problems can be benefitted as well. Choose the Advanced Clinicals Hyaluronic Instant Skin Hydrator Serum. Collagen is the most found protein in the human body. It gives strength, elasticity and structure to the skin and also helps the process of replacing dead skin cells. As you get older, however, your body slows collagen production— which can also be affected by UV and environment exposure. Using serums with collagen will help maintain skin elasticity and firmness. Choose the Advanced Clinicals Collagen Instant Plumping Serum. Roseship Oil comes from the seed of a specific type of rose. It contains Vitamin C, which helps stimulate collagen production and even out skin tone. The vitamin A has small molecules that travel deep into the skin to improve moisture levels and reduce fine lines. Its antioxidants help fight damage-causing free radicals and sun exposure effects, and its vitamins and fatty acids help improve skin tone and texture. The fatty acids also help support cell turnover for renewed skin and help with acne scars, itchy scalp, and eczema. 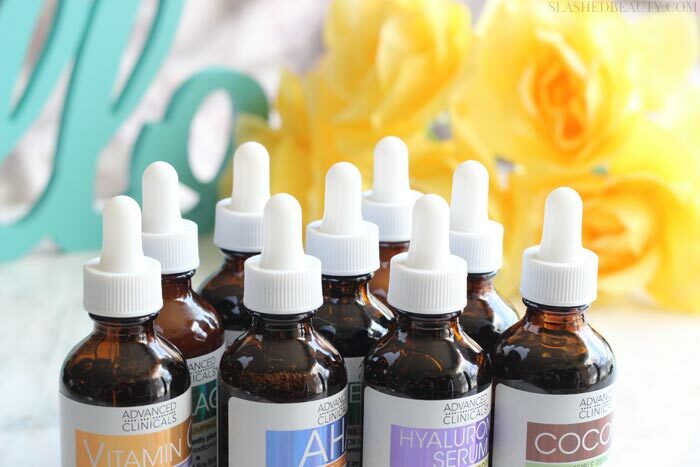 Choose the Advanced Clinicals Rosehip Oil Anti-Wrinkle Serum. Retinol is a form of vitamin A which has made a name for itself as a wonder ingredient for skin. It’s able to make your skin more plump, reduce fine lines and wrinkles, improve uneven skin tone and texture, and reduce the appearance of pores. Retinol is also the best solution for reducing the effects of sun exposure. It can be used nightly, but may feel harsh if you’ve never used retinol before, so ease your way into it. You will typically feel tightness and see redness upon using, but if it gets to be too much, switch to every other night. It’s also important not to mix retinol with other active ingredients like AHAs, glycolic acid, salicylic acid etc… so if you want to try this, try it alone. Choose the Advanced Clinicals Retinol Anti-Wrinkle Serum. Vitamin C targets dark spots, uneven skin tone and fine lines. The antioxidants help makes any discoloration from age spots to hyperpigmentation fade, and helps the skin’s surface to defend itself from environmental stress. Vitamin C is great for lifting and evening the skin tone for brighter skin all around. Vitamin C is a key player for collagen production, and also shuts down those free radicals aimed at aging you. Choose the Advanced Clinicals Vitamin C Anti-Aging Serum. Hopefully this guide will help you next time you’re expanding your skin care routine with a targeted serum. Even if you’re not experiencing any major skin concerns right now, preventative care is key to your skin looking awesome as the years go on. 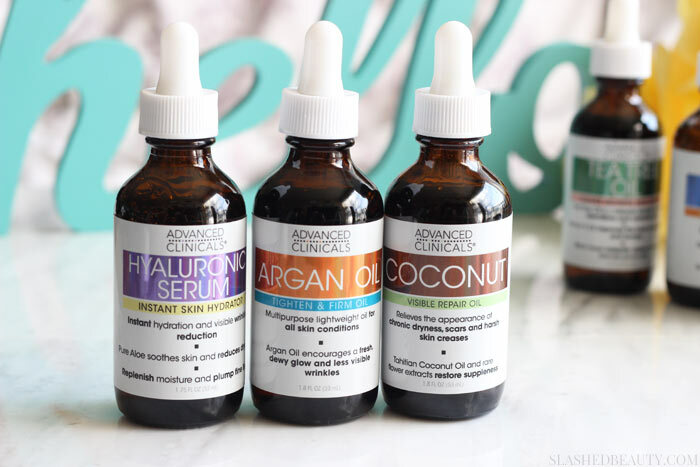 Use the code SB30 for 30% off any of the serums I talked about in this post from Advanced Clinicals! Which ingredients do you think could do your skin some good? Great post! I recently started using a toner with glycolic acid followed by a retinol serum that’s mixed with argan oil. Is that bad? Just wondering since you said you shouldn’t mix retinol with other active ingredients. I wouldn’t use them together– it will actually diminsh the effects of each and could just be too harsh. Use the glycolic acid in the morning and save retinol for night time and see how that works for you! 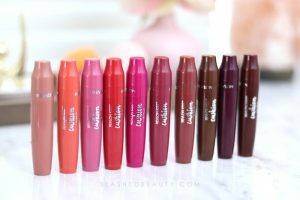 I am a serum junkie. I have Vitamin C serums, Retinol, Hyaluronic Acid… I could go on all night. Great info! I did a post like this a few years ago. Excellent article to explain the benefits of each. I use argan oil on my hair often, I love using Vitamin C and Hyaluronic Acid. I probably should be adding collagen to my skincare regime too.